From massages to manicures, polishes to pedicures, Victoria House’s team of massage therapists and estheticians offer an exceptional menu of body and beauty treatments. Choose from an array of rejuvenating spa services including body wraps and scrubs, facials, waxing, wellness rituals, masques and more. 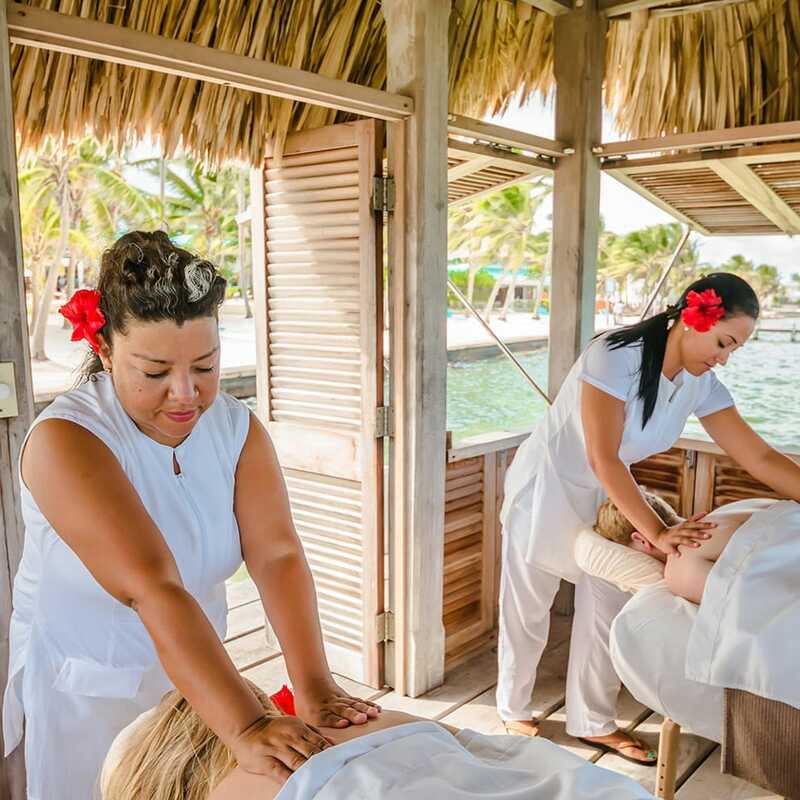 Relax in the comfort of our Victoria House Spa, or choose an outdoor location on the beach, or on our pier overlooking the tranquil Caribbean Sea. We appreciate our guests’ need for escape, and pride ourselves in offering unobtrusive delivery of services while maintaining attention to detail. For deep and therapeutic relaxation, we offer a variety of massage therapies including therapeutic deep tissue massage, craniosacral therapy treatment, hot stone massage, abdominal therapy, radiant face massage, thermos-auricular therapy (ear candling), acupuncture, and for the expectant mother, soothing pre-natal massage. There is also a specially-designed hot towel facial massage for men, and our signature relaxation massage. Relaxation Swedish massage techniques enhanced with essential oils, and hot towels. Warmed basalt stones are placed over your abdomen, further grounding and calming. Deep tissue massage is beneficial in releasing chronic muscle pain and tension. Deep or specific muscle compression and friction along the grain of the muscle, assists in releasing deeply held tension and trigger points. In this blissful treatment, your massage therapist utilizes warm basalt stones and oils to induce a deep state of relaxation and encourage your body’s natural detoxification. 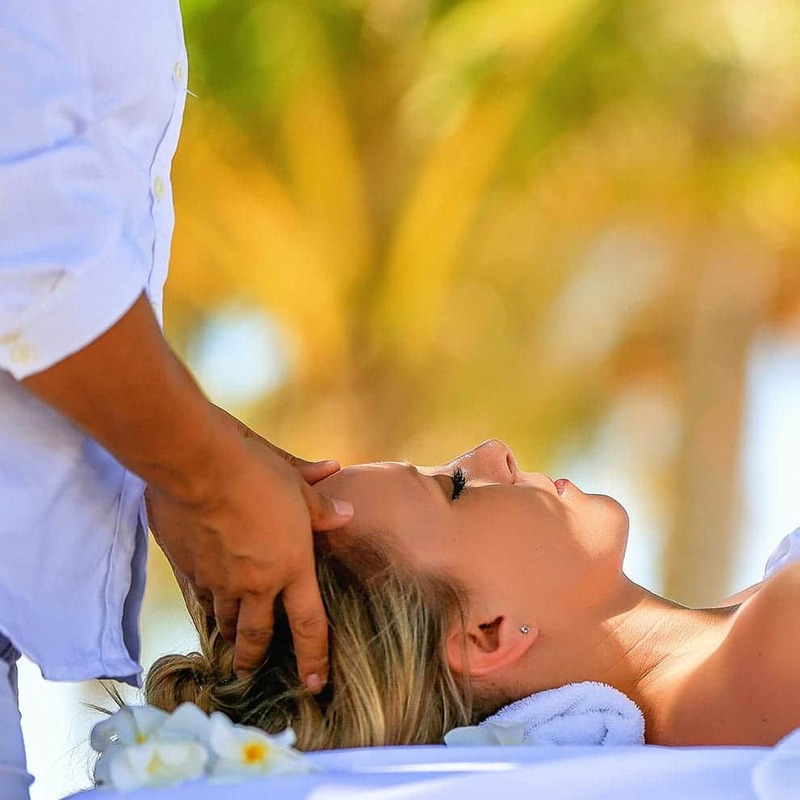 The above massages may also be booked for couples’ massage in our spa couples’ room or on our spa pier. Above pricing applicable per person. Using a gentle, noninvasive touch and very light pressure, CranioSacral Therapy releases tension in the body, relieving pain and improving function and body health. CranioSacral Therapy releases restrictions in the fascia, bone and soft tissue that surround the central nervous system. Relaxation or deep tissue massage therapy techniques combined with CranioSacral or Reiki healing energy techniques. Prenatal massage techniques focus on the specific structural, physiological and psychological needs of mom and her growing baby during pregnancy. Reiki translates from Japanese to ‘Universal Life Energy.’ It is a harmonizing, high vibration, purifying energy that has its own natural intelligence. This energy works on the physical, emotional, mental and spiritual levels, helping to bring us back to our natural state of peace and wellbeing. Transmitted through gentle touch or hands off the body. Reiki is balancing, soothing and calming. Is another Ayurvedic treatment aimed at balancing a person’s Doshas, or vital energies. Doshas are essential components of each individual and are vital to physical and emotional wellbeing. When Doshas are out of balance we are more susceptible to disease and stress and can become ill. Treatment begins with a small client intake to identify Doshas, followed by 60 min or 90-minute head, neck and shoulders massages using essential oils specially tailored to every individual. Ayurveda is based on achieving balance by promoting harmony between body, mind and spirit. Vedic Thai massage is an Ayurvedic treatment that uses techniques including breath and body compressions to clear chakras of obstructions. This Ayurvedic treatment uses of steaming parcels of aromatic herbs and spices to assist in healing body mind and spirit. Inspired by traditional indigenous Maya healing techniques in Belize developed to address the position and health of the pelvis and abdominal organs. This therapy assists in relieving and healing digestive and reproductive imbalances. Can be combined with Relaxation or Deep Tissue Massage. An ancient natural and non-invasive therapy handed down by many indigenous civilizations. Warming and balancing, this therapy is helpful for tinnitus, congestion, tension headaches and hearing impairment. (Please allow 24 hours before or after flying or diving when scheduling this treatment). The insertion of small needles at various effective points stimulates a healthy flow of energy throughout the body. This therapy, rooted in Traditional Chinese Medicine, is effective for addressing a wide range of conditions including arthritis, asthma, depression, fatigue, headaches, insomnia, musculoskeletal pain, and stress relief. *Pain Relief Patches available directly with acupuncturist, at an extra cost. Enjoy total relaxation while you experience one of our luxurious body treatments. Drift away while you are treated to our signature coco body polish, hydrating hair masque, or cooling body wrap. Experience this luxurious, exfoliating body treatment that nourishes and refines skin tone, maintains skin’s moisture level and improves suppleness. This full body exfoliation treatment includes coconut oil and sea salt or local natural sugars, local honey, essential oils, a warm outdoor shower rinse, and topped off with a glorious cocoa body butter application (not a massage) to seal in the hydrating benefits. 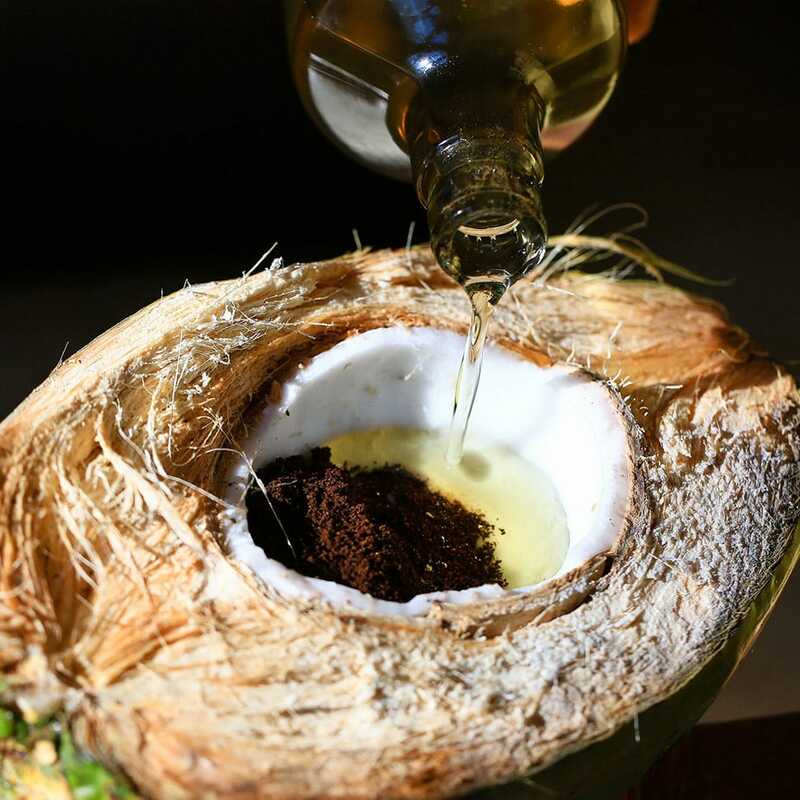 Nourishing and hydrating, this treatment incorporates warm Belizean coconut oil, fresh hibiscus, honey and essential oils, generously applied and massaged into scalp and hair. This body treatment is good for all body skin types, especially for vitamin deficient, loose, dehydrated, and anemic skin. Sour cherries are a powerful fruit containing a high number of anthocyanins antioxidants known for scavenging free radicals. Blackthorn known as the Hungarian blueberry or wild plum revitalizes, hydrates and enhances the skin tone. Polyphenols fight free radicals while fruit acids tighten the skin. Hydrating and cooling, this treatment combines local coconut oil, fresh Aloe Vera, local honey, yogurt, and cucumber gently massaged over your entire body. Enjoy a hand and foot massage while you relax. A warm (or cool) rinse followed by a cocoa body butter or copal/lavender oil application. The treatment wraps up with a warm (or cool) rinse followed by a cocoa body butter or copal/lavender oil application. Loaded with antioxidants to fight aging, and caffeine to stimulate skin cells, an exfoliating Coffee Body Wrap leaves you with smoother, tighter and brighter skin while helping to detoxify your body and invigorate the senses. The diuretic effect of coffee also works on fat cells closest to the skin to help reduce the appearance of puffiness, cellulite and Rosacea. Cacao was one of the ancient Maya’s gifts to the world, and as delightful as eating chocolate is, those effects are subtly magnified when absorbed through the skin. In addition to hydrating, exfoliating and plumping, a chocolate body scrub promotes a sense of wellbeing. This delightful scrub has all the benefits of a chocolate body scrub with the addition of mint. With its anti-pruritic and antiseptic qualities, mint works with cacao to soothe skin that’s prone to rashes, itching, or has been exposed to sun, insects or abrasions. Mint’s Vitamin A content then strengthens and refreshes skin while reducing surface oils, leaving you with a healthy glow..
Our ritual signature treatments are designed to relax and rejuvenate and are associated with numerous health and wellness benefits including: reducing muscular aches and pains, improving circulation, reducing anxiety and fostering peace of mind. Coco Body Polish, a warm shower rinse in our outdoor retreat, followed by our Signature relaxation massage with local cocoa butter, essential oils, hot stones and heated towels. All local and natural ingredients used. 15-minute pressure point scalp massage with essential oils, 30 min Thermo Auricular Therapy (1 candle per ear), followed by our 60 min Victoria House Signature Relaxation Massage. This body treatment is good for all body skin types, especially for vitamin deficient, loose, dehydrated, and anemic skin. Sour cherries are a powerful fruit containing a high amount of anthocyanins antioxidants known for scavenging free radicals. Blackthorn known as the Hungarian blueberry or wild plum revitalizes, hydrates and enhances the skin tone. Polyphenols fight free radicals while fruit acids tighten the skin. Massage included. We use ilike Organic Skin Care products in all of our facials. ilike products are full of vitamins, fruit acids and bioflavinoids, combined with other active ingredients. They treat, nourish and beautify the skin, rejuvenating it from the inside out. Let our talented estheticians pamper you with organic facial products appropriate for your skin’s needs. Following a thorough analysis, our experts will design an ilike organic skin care facial personalized for you. Your skin will benefit through customized cleansing, exfoliating, treatment mask, vitamin supplement, and hydration while you relax in luxury. Saturate your skin with antioxidants to enliven your complexion and combat environmental stress. Fruit acids and iron supplements benefit devitalized skin and improve elasticity. Reduce puffiness while stimulating your skin with essential vitamins and minerals. Feel your skin “breathe” as our esthetician cleanses impurities and restores balance. Our Deep Cleansing Facial is beneficial for all skin conditions, especially problematic. Purge your pores and soothe irritated skin for a calm, unblemished complexion. Our anti-aging facial combines scientific breakthroughs with naturally gorgeous solutions to benefit our guest with mature skin. Grape Stem Cells enhance cellular regeneration while supplying the skin with essential antioxidants. Revitalize dry, mature skin and delay the appearance of skin aging. Designed for our oil deficient guest, this facial will drench your skin with rich organic nutrients to deeply hydrate and balance your skin. Your complexion will be softened, smoothed, and revitalized with vitamins and oils for the healthiest glow. Wonderful for all skin types, the Oxygenating-Lightening Facial treatment is especially favorable for our guest with an uneven complexion. Infusing the skin with oxygen and supplying organic lightening ingredients, this treatment helps to reduce pigmentation and improve tone. Choose any of our facials listed above, for your back! The Men’s Facial is designed for male skin conditions including inflamed follicles, ingrown hairs, irritated, inflamed skin, oily skin, open pores, and skin sensitivities. 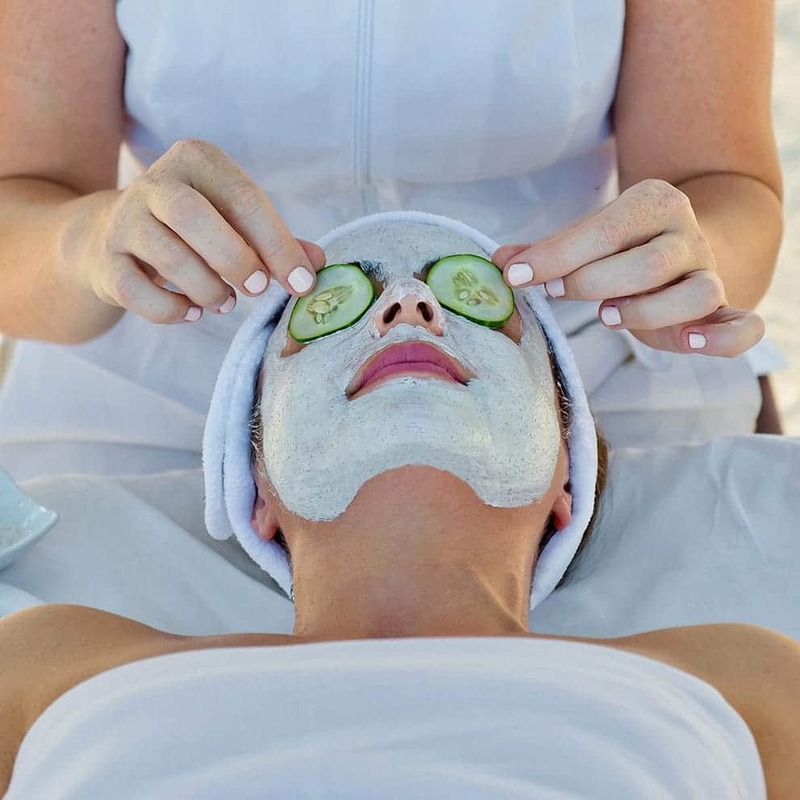 This facial leaves the skin calm, balanced, hydrated and revitalized. Extractions are the best method to getting rid of clogged or compacted pores. 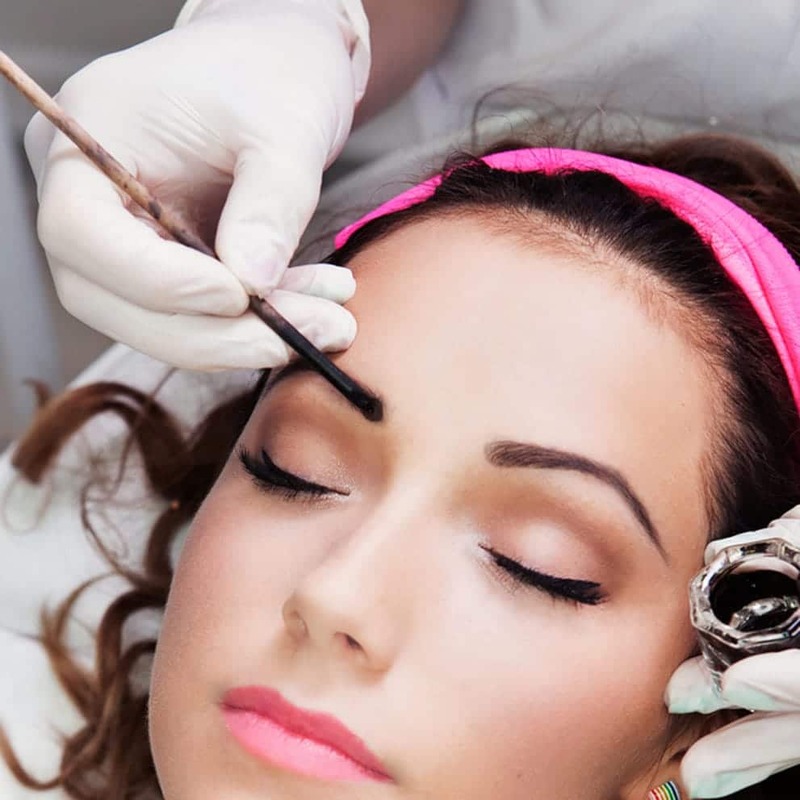 Dirt and build up are removed safely and quickly by our trained aestheticians. For all body skin types, especially for vitamin deficient, loose, dehydrated, and anemic skin. Sour cherries are a powerful fruit containing a high amount of anthocyanins antioxidants known for scavenging free radicals. Blackthorn known as the Hungarian blueberry or wild plum revitalizes, hydrates and enhances the skin tone. Polyphenols fight free radicals while fruit acids tighten the skin. This treatment is good for all skin types especially loose, wrinkled, premature and mature skin types. The effects reduce the appearance of fine lines, wrinkles and dark circles. Lifting, firming and tightening. Grape Stem Cells and Phytoestrogens or red clover and hops will firm, lift and tighten the skins tissues resulting in a more youthful look. This treatment incorporates an exfoliating scrub with hot towel removal. Nails and cuticles are groomed. A relaxing hand and arm massage with a hydrating cocoa butter cream with hot stones nourish and soothe. Polish it off with a Vinylux polish application of your choice or a natural nail buffing for a high gloss shine. 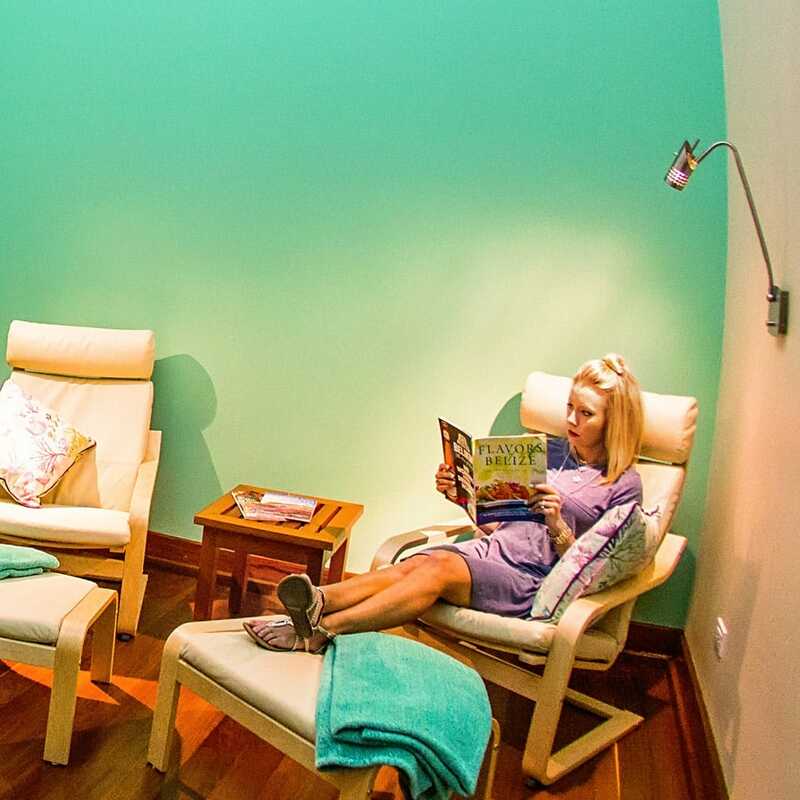 Put your feet up and relax in our pedicure recliner while your lower legs and feet are exfoliated with our coco azucar scrub, toenails and cuticles are groomed and your lower legs and feet are massaged with hot stones and cocoa butter. Conclude this incredible relaxing experience with a natural nail buffing or a Vinylux polish application of your choice. A natural and healthy, nourishing hand/foot treatment, made with 100% natural plant-based emollients and pure essential oils. No petroleum, artificial dyes, or synthetic fragrances. Look and feel your best by having unwanted body hair professionally removed. Waxing services at Victoria House Spa include eyebrow, chin, upper lip, chin and lip, nose, half arm, full arm, underarm, half leg, full leg, back, bikini, and Brazilian. Tinting your brows or lashes saves you time—so you don’t have to put on mascara or pencil in your eyebrows in the morning. Eyelash tinting looks like natural mascara, making your eyelashes appear fuller, bolder, and longer. A well-defined brow can frame the entire face, helping your eyes stand out. This is truly a healthy, nourishing hand/foot treatment because it is made with 100% natural plant-based emollients and pure essential oils. No petroleum, artificial dyes, or synthetic fragrances. Dead Sea salts, warm basalt stones and hot water soothe and detoxify tired feet. Treatment focusing on acupuncture points on hand and feet. Facial massage focused on pressure points on your face, head, and ears. Relaxation massage for head, neck, and shoulders. Something special for age 12 and under! Relaxation massage incorporating Swedish massage techniques, hot towels and essential oils. Focus is on back, shoulders, neck, head, hands and feet. Exfoliating and nourishing, this full body exfoliation treatment includes coconut oil and sea salt or local natural sugars, local honey, essential oils, a warm shower rinse, and topped off with a glorious cocoa body butter application (not a massage) to seal in the hydrating benefits. 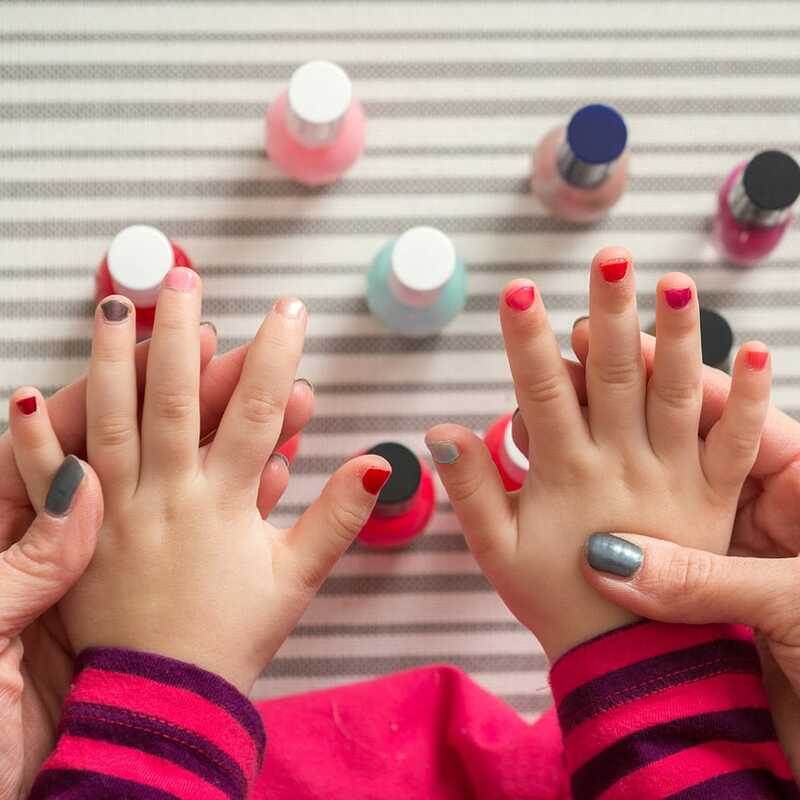 This treatment incorporates a peppermint hot towels, nails and cuticle grooming, a relaxing hand and arm massage with a hydrating cocoa butter cream, and a Vinylux polish application of your choice or a natural nail buffing for a high gloss shine. Put your feet up and relax in our pedicure recliner while your feet are exfoliated with our coco azucar scrub, toenails and cuticles are groomed and your lower legs and feet are massaged with cocoa butter. Conclude this incredible relaxing experience with a natural nail buffing or a Vinylux polish application of your choice. Ultra nourishing and hydrating, this treatment incorporates warm Belizean coconut oil, fresh hibiscus, honey and essential oils, generously applied and massaged into scalp and hair. For all skin types that may be problematic, open pored, sensitive or normal/combination skin. This facial is the perfect start to teach the preteen how to properly care for their skin leaving it clean, brightened and refreshed. The combination of herbs such as lemon, blackthorn, sour cherry, peach, and stonecrop, promotes a clear complexion and tightens the pores with fruit acids. Relaxation Massage, Mini Facial, Mini Caribbean Manicure, Mini Caribbean Pedicure. 60 minutes of Flow and Restorative Yoga. Weather dependent. Please confirm time with spa reception or Front Desk and to sign up. 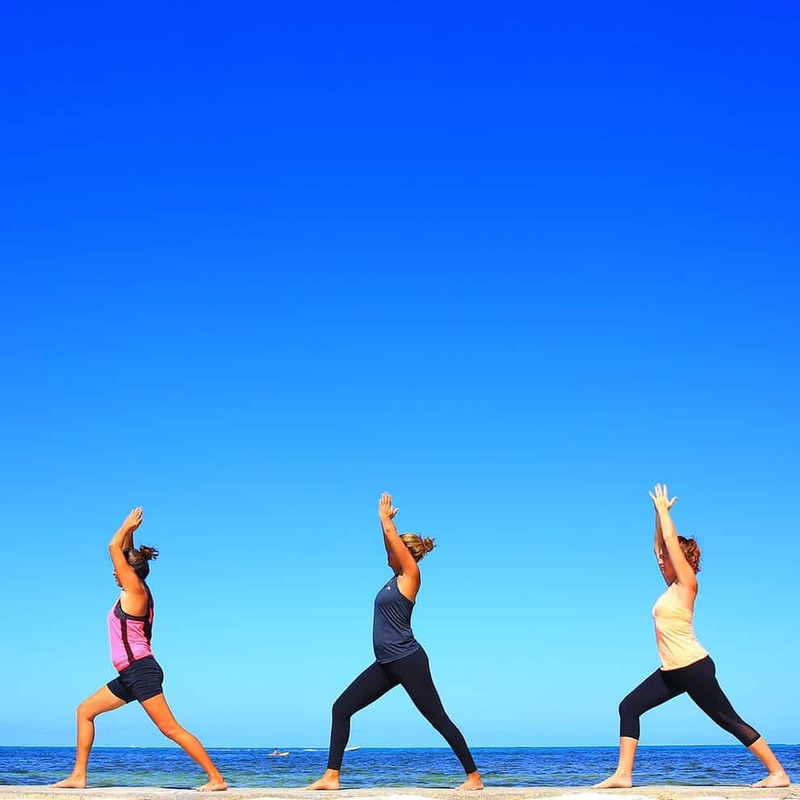 Private yoga sessions catered to your group of 5 or less people are also available. Perfect for a small group of friends, co-workers, family, or brides and bridal parties. * All prices are in $USD and include applicable taxes. * Rates are subject to change – prices will be confirmed at time of booking. * Please note that cancellations require a minimum of 24 hours notice.